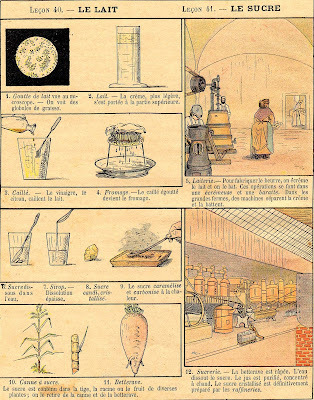 These images are of pages I scanned from an illustrated French textbook titled "Les Sciences" published in 1906. 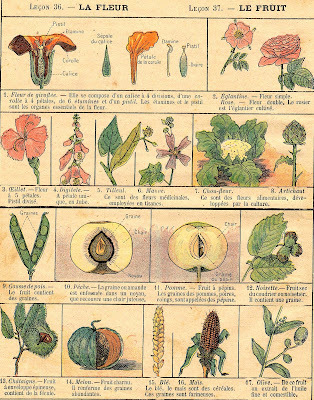 I acquired this delightful book years ago at a flea market in Villeneuve-Les-Avignon. I'm assuming that since it's been more than 100 years since it's publication that it is entirely copyright free. 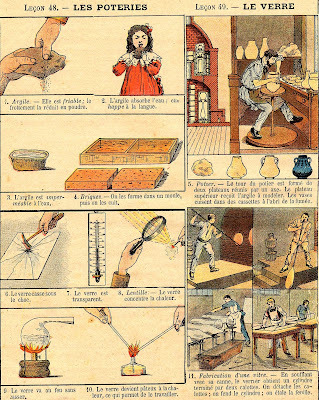 That means these images are entirely free for you to use to make prints, use in collage, or brush up on your French. 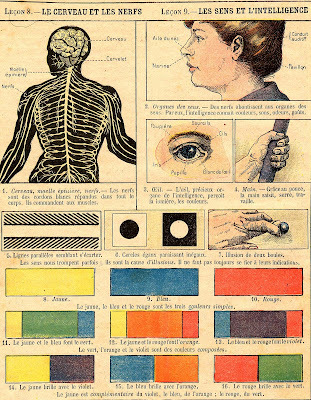 Left click on the images to get full size and then right click to save the image. And have fun! 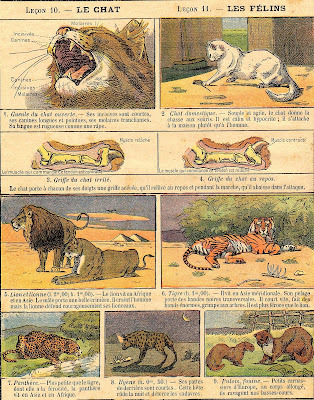 My mother just send me a full box of old children's booklets from the turn of the century and earlier. Some were even my great grandfather's I'll be writing about it in my next blog. The books are too good to cut up but for scans they'll be great. Thanks for sharing these!